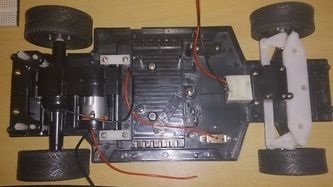 In this project you will transform a simple RC to an Arduino Bluetooth controlled car! 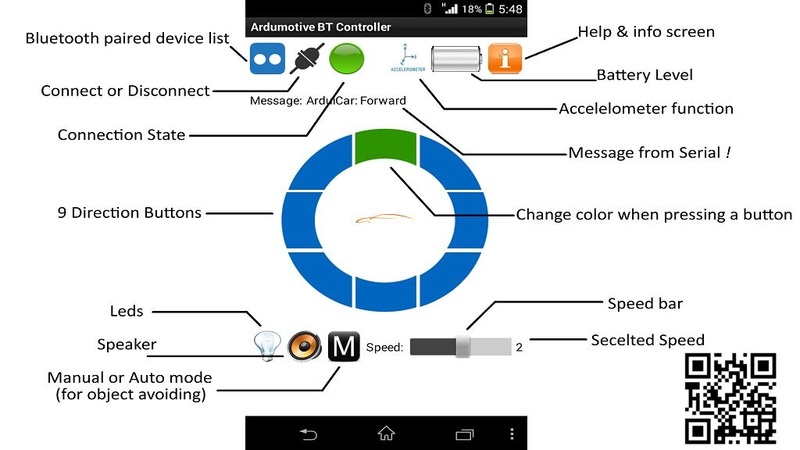 Your new car will be able to controlled through your Android device, smartphone or tablet. RC Car that can fit all the above ! Power: You can use the existing batteries (4x 1.5V AA) of rc car, or replace them with a LiOn rechargeable battery pack. Before starting, remove the existing rc circuit. 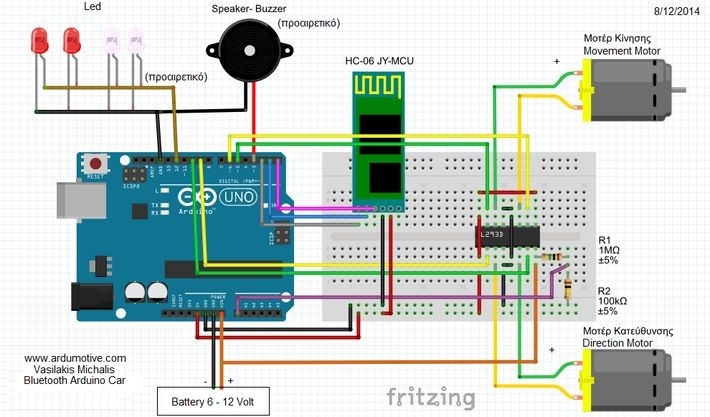 You will not need it any more... you will make a better one from the beginning with Arduino uno! Now, with one battery AA 1.5V you must find the polarity of 2 c motors. For movement motor (back side) the positive polarity cable will be that moves the car forward. For direction motor (front side) the positive polarity cable will be that moves the wheels left. NOTE! Make all connections!!! It's necessary to connect the State pin of HC-06 with the Arduino pin 2! If you have a "big" rc car it will need more power so you can use L298 module board. L293D motor driver will give max 0.5A per channel and it will be come very hot after while. L298 module board has a heat sink and can give 1A per channel, but is bigger than L293D.